I just got an email this morning from Cor Bennema informing me that his newest book with Fortress Press has just been released. 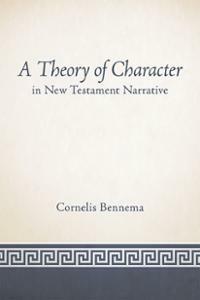 The book is entitled, A Theory of Character in New Testament Narrative and it seeks to build upon Cor’s earlier work in this area. I have had a chance to look at the pre-publication proofs and I think this book is going to be a conversation starter. I have disagreements with Cor on some issues (and I have expressed these in print in several places), but I always find his work to be stimulating and thought-provoking. A few days ago I posted about an upcoming SBL session in which we will be discussing these issues along with Steve Hunt, James Ressegeuie, Frank Moloney, and Alicia Myers. Our recent publications in this area will serve as a foundation for much of what we will likely discuss in those sessions (see here, here, here, here). Congratulations to Cor! I look forward to reading this book more carefully and revieiwing it here on the blog.